Instantly downloadable sheet music (Musiknoten zum herunterladen und ausdrucken) von S.E. Isaacson for choir and piano (SATB) of MEDIUM skill level. Instantly downloadable sheet music (Musiknoten zum herunterladen und ausdrucken) von Robbie Solomon for choir and piano (SATB) of MEDIUM skill level. Instantly downloadable sheet music (Musiknoten zum herunterladen und ausdrucken) von Michael Isaacson for choir and piano (SATB) of MEDIUM skill level. 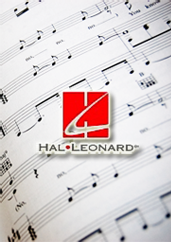 Instantly downloadable sheet music (Musiknoten zum herunterladen und ausdrucken) von Marshall Portnoy for choir and piano (SATB) of MEDIUM skill level. Instantly downloadable sheet music (Musiknoten zum herunterladen und ausdrucken) von Marcia Hain Engle for choir and piano (SATB) of MEDIUM skill level. Instantly downloadable sheet music (Musiknoten zum herunterladen und ausdrucken) von Lisa Levine for choir and piano (SATB) of MEDIUM skill level.